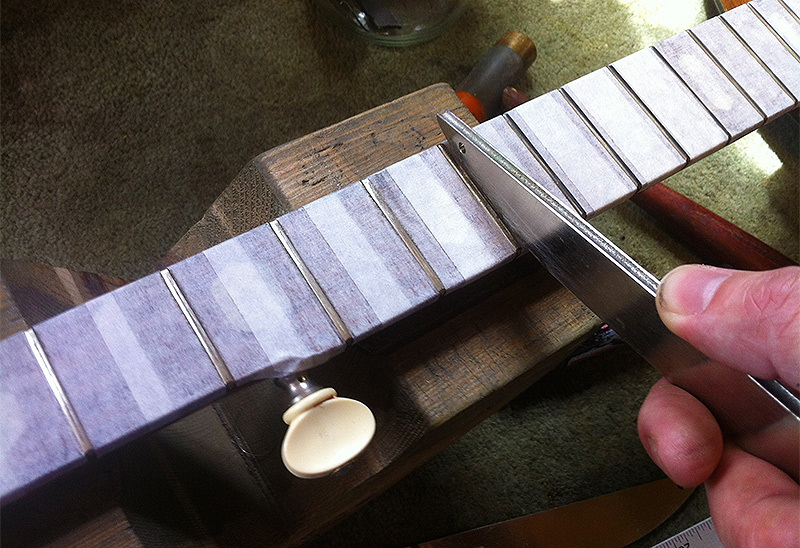 This is a GDR made 5-string banjo in for a full setup with fret dress. GDR-made (former East Germany) instruments were among the best of all “Eastern block” guitars – the communist rule could not easily make German people lazy and ignorant, so the quality of the instruments remained relatively high. 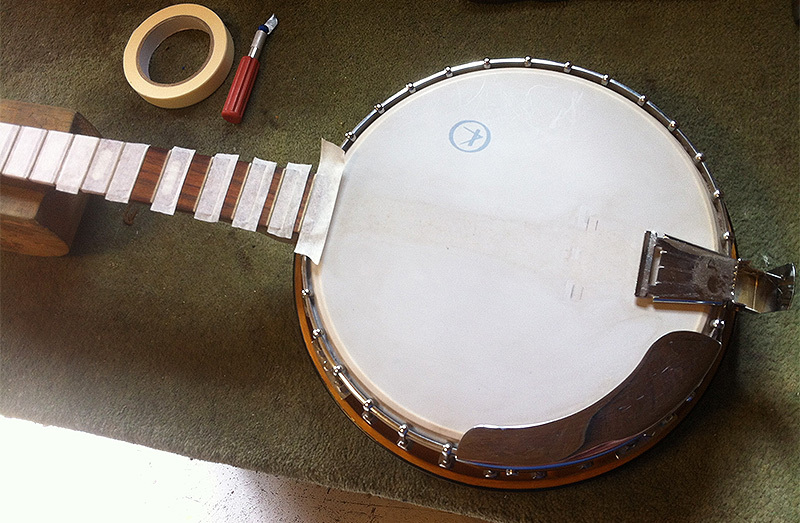 This banjo is most likely a Musima and these were usually priced twice higher than other Soviet/Czechoslovakian/Bulgarian instruments on the market behind the Iron Curtain. Musima stringed instruments were the instruments of choice of many professional musicians in the Eastern Europe. Although considered a “hi-end” in the “communist” region, Musimas’ quality was still far from a real hi-end and even “second-grade” instruments made by Hagstrom and other neighbors. Brands like Meinel und Herold and Migma were a part of the same Musima corporation, and you can notice that certain hardware parts look the same on all of those instruments. Unlike other “communist” brands, Musima still exists but they currently make acoustic instruments only (acoustic guitars were the largest part in overall Musima production also during the “electric” days). Hello Karen, sorry for the late reply. I believe the owner only paid £50 at a car boot fair. 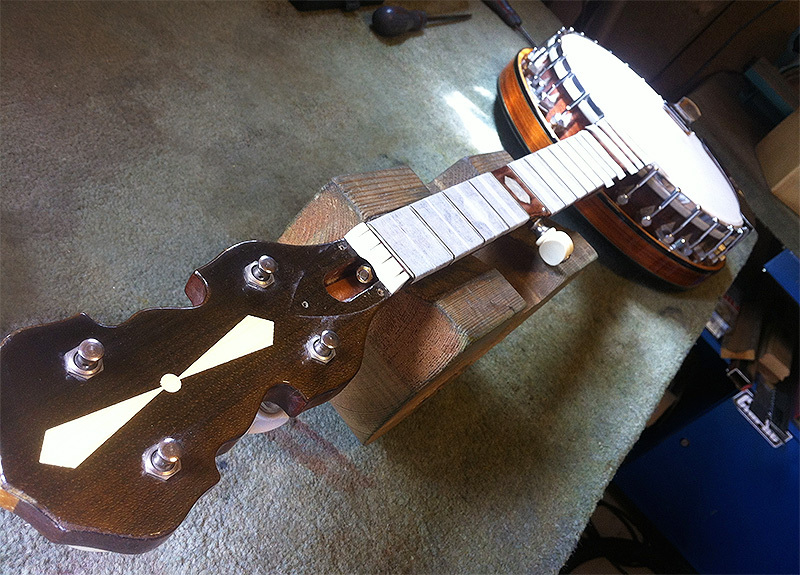 I’ve just bought the same Musima banjo on ebay, it is with a Luthier as we speak as it is in desperate need of setting up e.g. it was unplayable, what did you think of it once you had set it up?